You may have seen ube, also known as purple yam or purple sweet potato, popping up on trendy food blogs and on Instagram. But this trending tuber has deep roots in the Philippines, where it’s a key ingredient in a prized dessert. The dessert is called ube halaya, and it’s a sweet, creamy jam made from grated purple yam. It has a short ingredient list, but requires lots of elbow grease — the grated yam is heated with milk (coconut, condensed or evaporated can all be used), sugar and sometimes butter and cheese over low heat, then stirred continuously until it’s thick enough for the spoon to stand up on its own in the mixture. Then, it’s pressed into a greased mold or dish and left to cool to room temperature or refrigerated. The result is a cool dessert perfect for warm-weather days. It’s thick, sweet, sticky and delicious. To serve, you can top your ube halaya with latik (made from reducing coconut milk and toasting the residue in it’s own oils until caramelized) or mild grated cheese. Ube halaya can also be spread on bread for a sweet morning snack or be used to make ube macapuno cake and other desserts. Ube halaya’s cousin is ube ice cream, one of the key ingredients in the frozen treat halo-halo. If you love desserts made with pumpkin and sweet potato, you’ll probably love ube halaya. And with its gorgeous purple color, it’ll liven up any table. You can get frozen ube at many Asian grocery stores or find the raw purple yams at farmers markets and specialty grocers like Whole Foods. 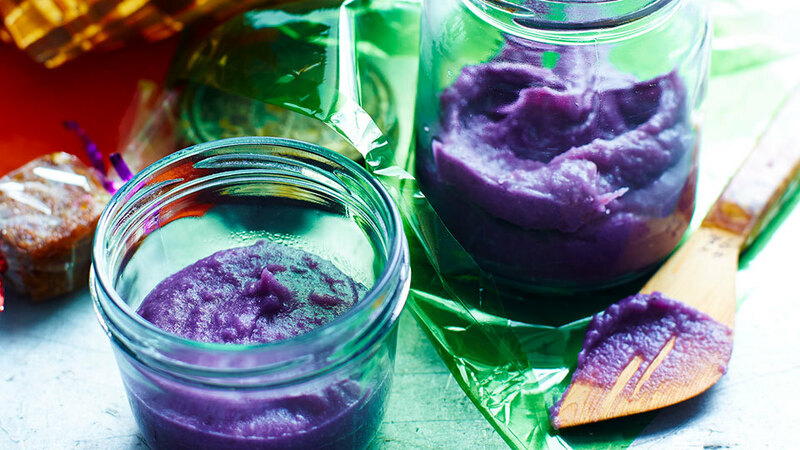 Ready to try your hand at making ube halaya? 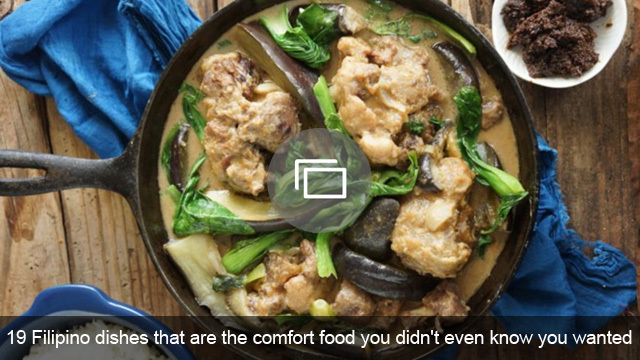 Check out these recipes from Panlasang Pinoy, Foxy Folksy and Kawaling Pinoy.